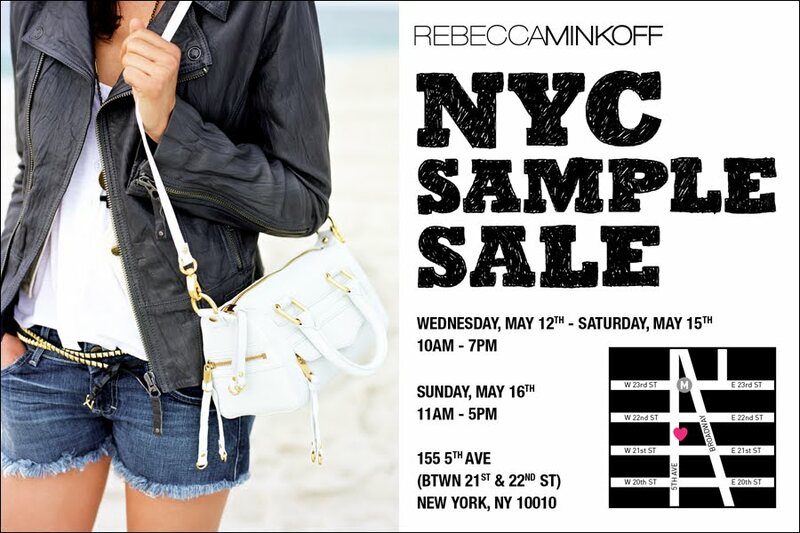 Sample Sale Alert: Rebecca Minkoff NYC Sample Sale | Fashion. Style. Beauty. | Life is short. Live well. If you recently read my interview with clothing and accessories designer Rebecca Minkoff, you’ve no doubt understood everyone’s obsession with her fabulous handbags and gorgeous clothes. Well, if you’re an NYC gal looking to score more Minkoff for your closet (or your first one, in which case, mazel), there’s a sample sale coming from May 12th through May 16th that you simply cannot afford to miss. Details are above in the invitation. If you want to know where I’ll be during that time, I might be the one fighting you off of a fabulous Cross Body bag. See you there!